Alexander body seen in Newcastle date unknown. This picture was taken long before 1980 as your date capton suggests, it was also taken before 1974 when the Tyne and Wear PTE was formed. 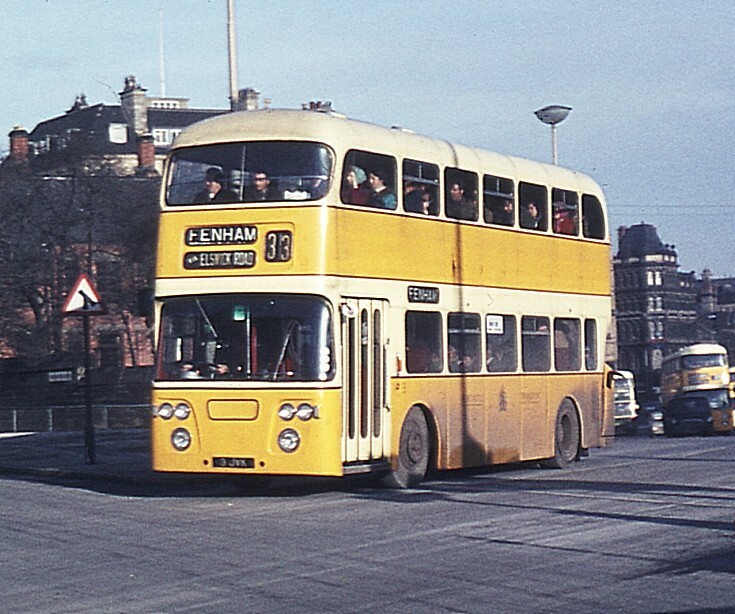 The bus was new around 1960/1 and is in the old Newcastle Transport livery the fleetname of which disappeared upon the formation of the PTE in 1974 so the picture is between those dates. I suggest somewhere around 1965-6 (there dosnt appear to be any Trolleybus wires up either), and just visible behind is a green/cream Gateshead Atlantean which date from the same era. If I remember correctly it is heading for West Road having just passed Central Station. Its been a long time since I was in that area of Newcastle. Added by Chris Hall 500 Group Teesside on 26 December 2011.